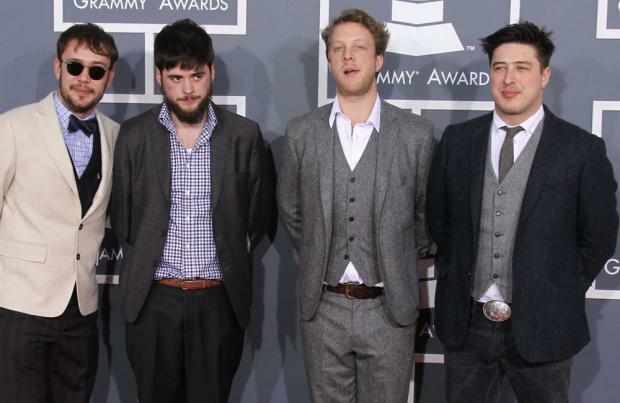 Mumford & Sons have joined the Barclaycard British Summer Time Hyde Park 2016 line-up. The British folk rockers - who released their third album 'Wilder Mind' earlier this year - will headline the festival on July 8, with support from Alabama Shakes and Wolf Alice. Announcing the news, the band said: "Hyde Park for us: sacrificing hopes and dreams at the altar of Neil Young; being transported to another dimension by The National; supporting Arcade Fire (the best band in the world); playing alongside our mates The Vaccines; accidentally seeing Black Eyed Peas; wishing we were at Kylie. What a place. And this time we get to headline and pick a bill of sick artists to play with us. Alabama Shakes! Wolf Alice! Gentlewomen of the Road! We're travelling all over at the moment, so having this massive gig to look forward to next summer, right in the heart of our home city, is just awesome." The show - for which tickets go on sale at 9am next Friday (27.11.15) - is the second announced for the 2016 string of performances, following Take That on July 9. Headliners at this year's event included Taylor Swift, Kylie Minogue, The Who and Blur.